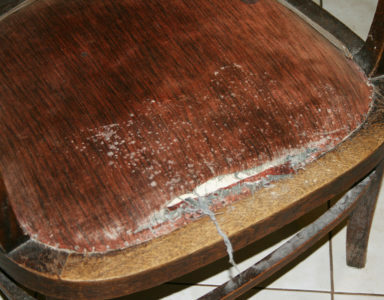 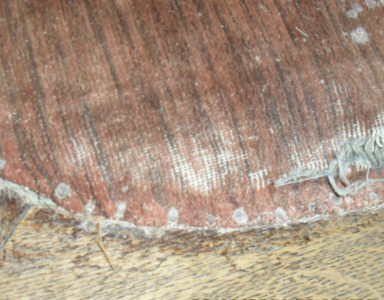 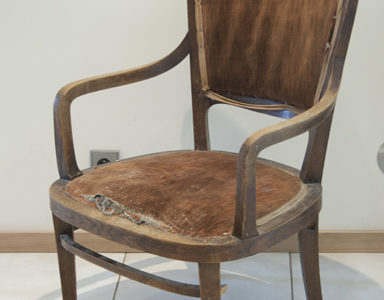 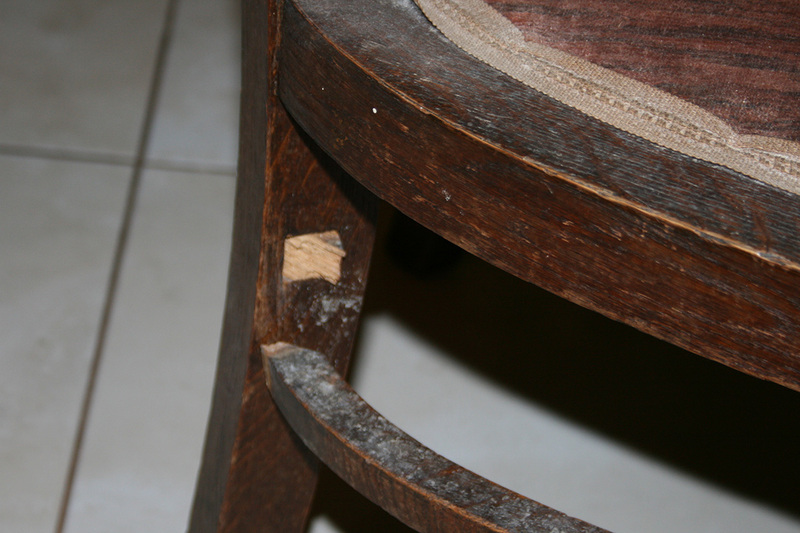 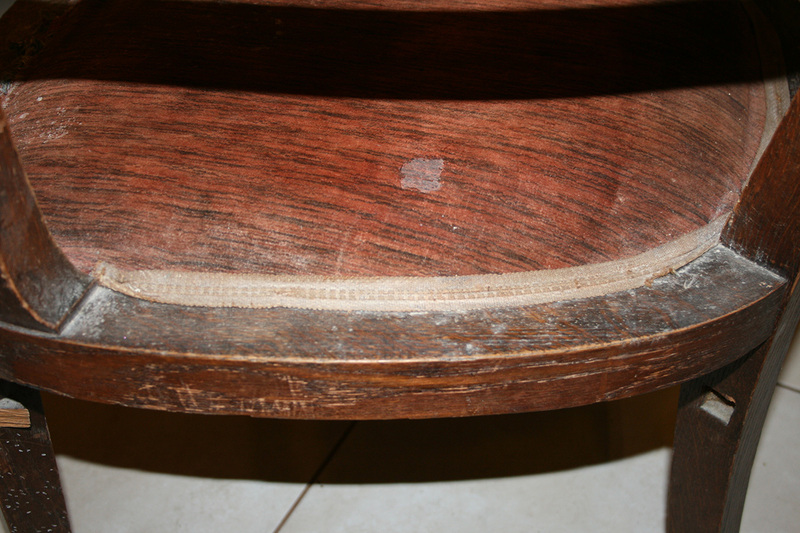 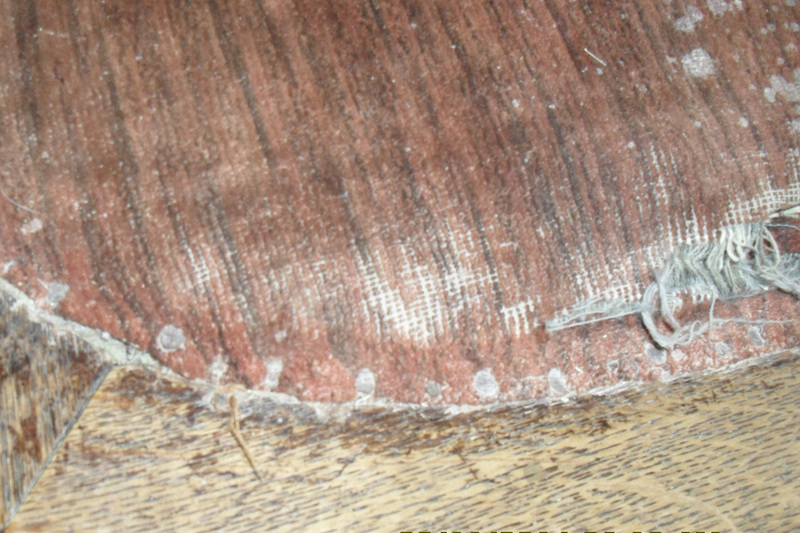 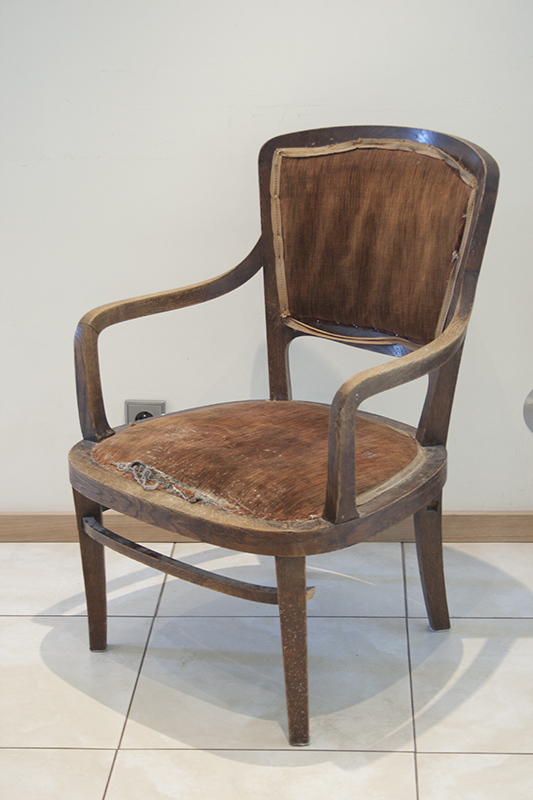 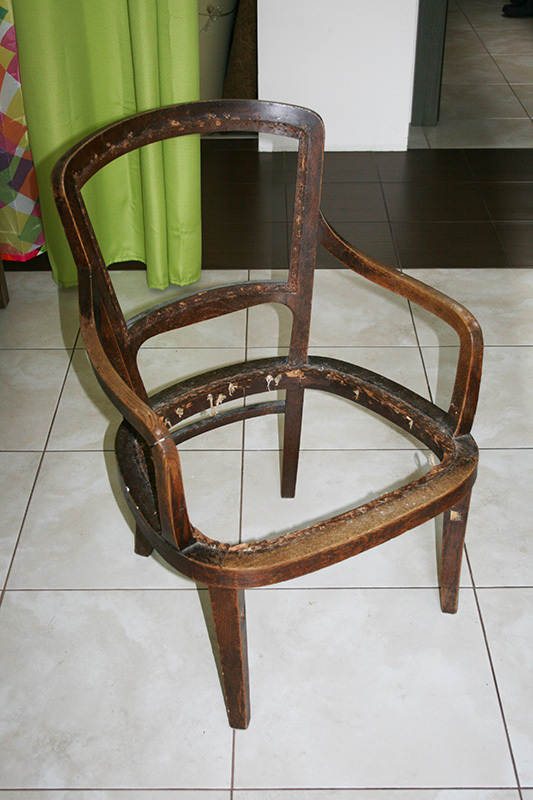 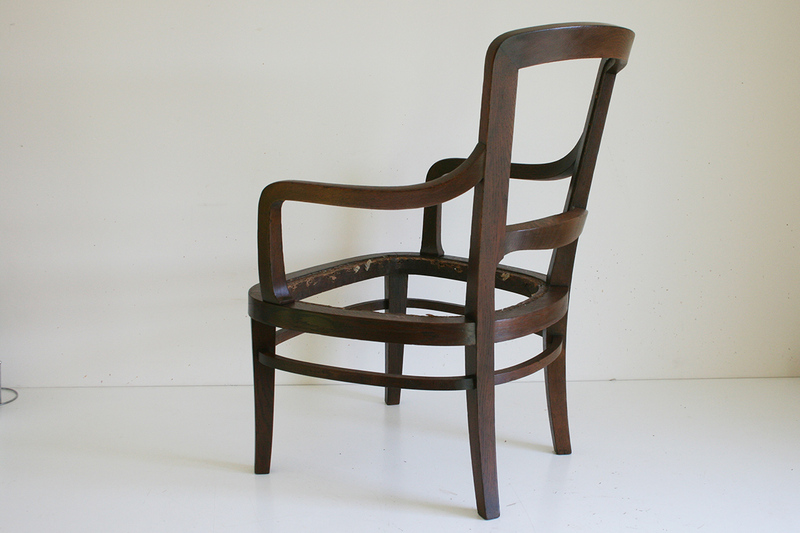 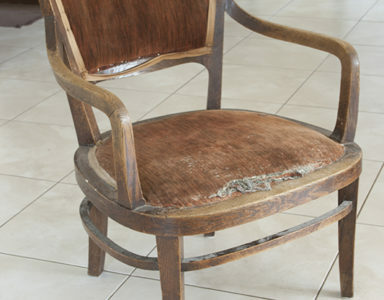 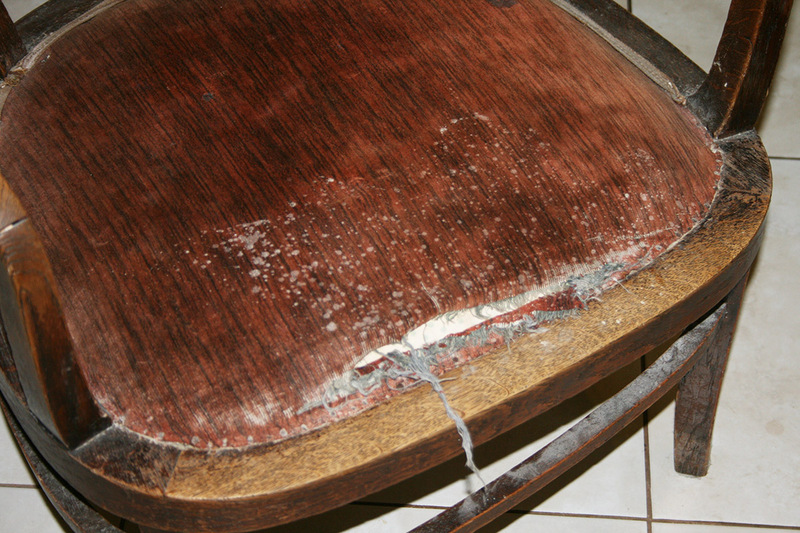 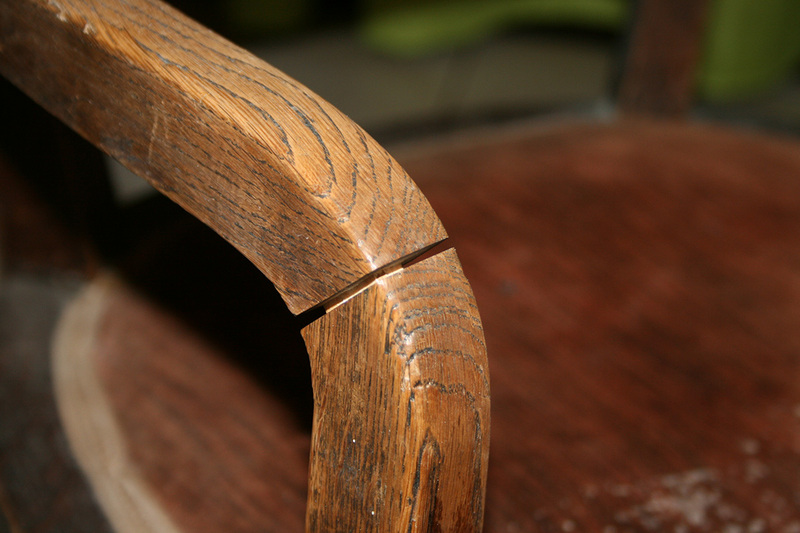 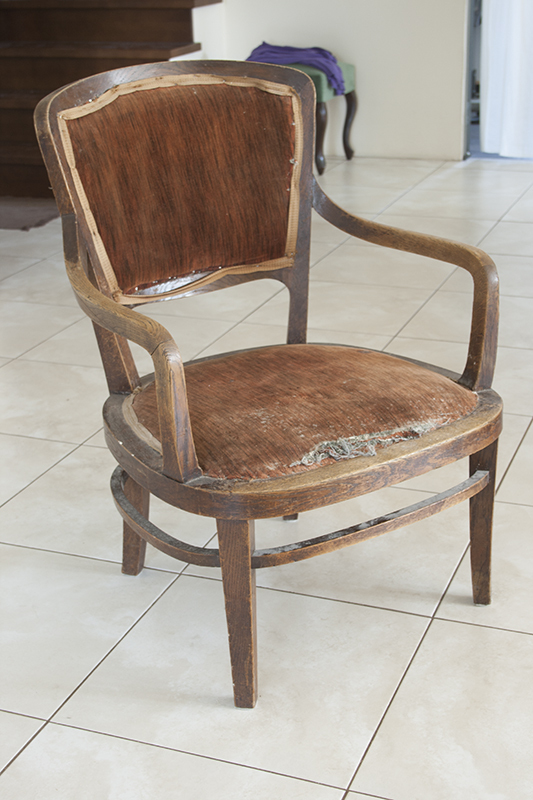 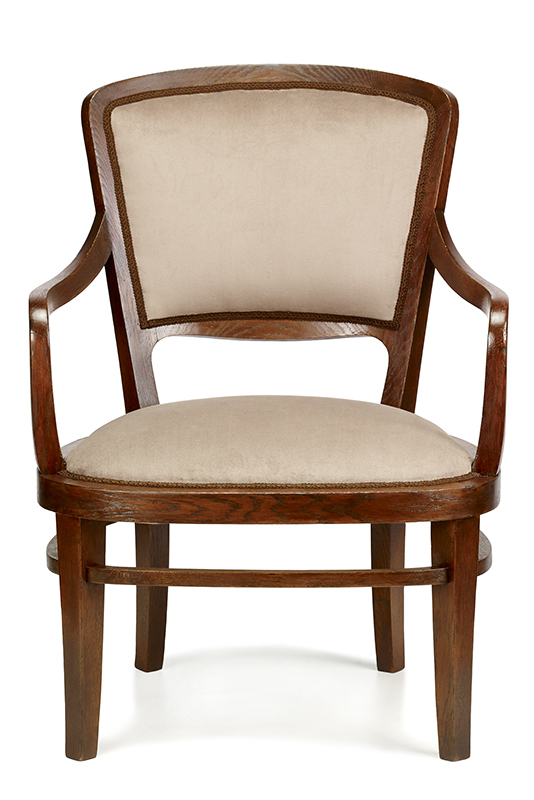 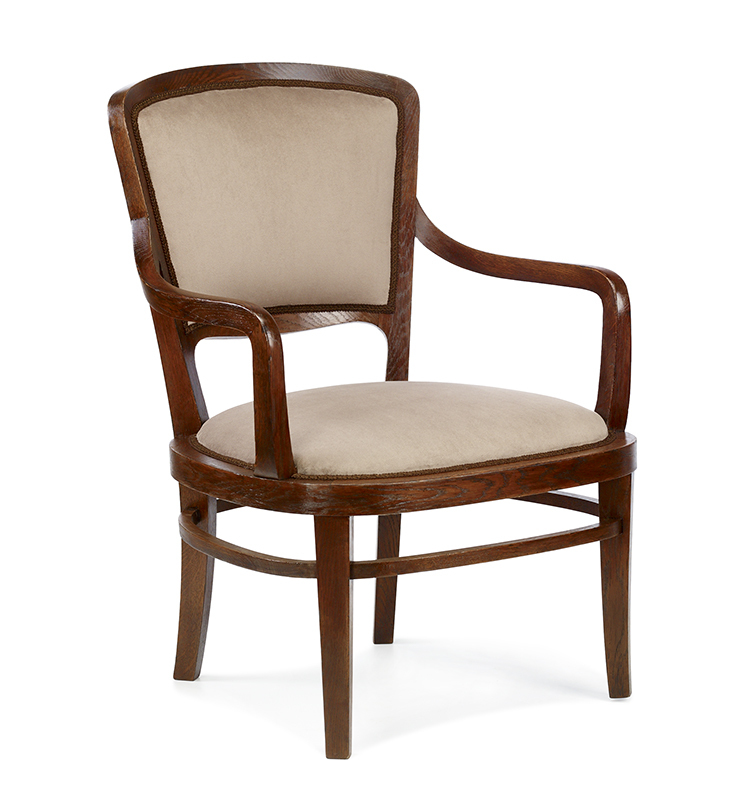 At the beginning of 2015 we received a damaged pre-war armchair. 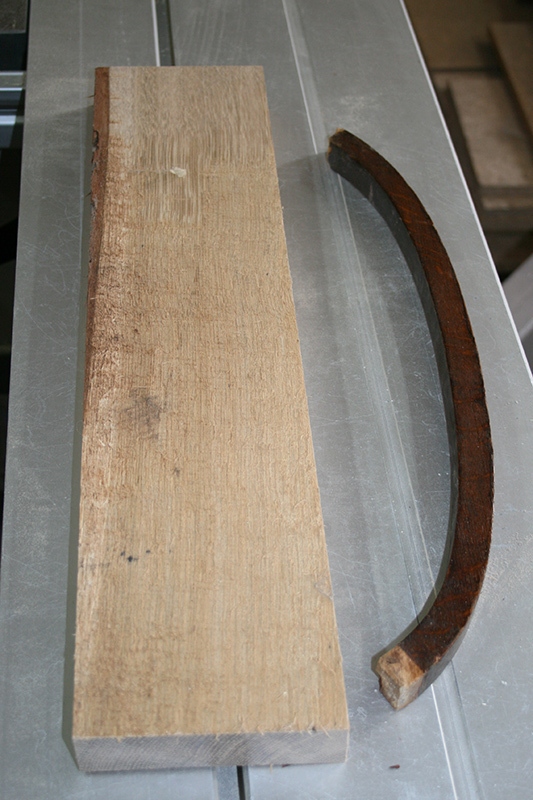 Despite its appearance, it proved to be a very pleasant item to work with. 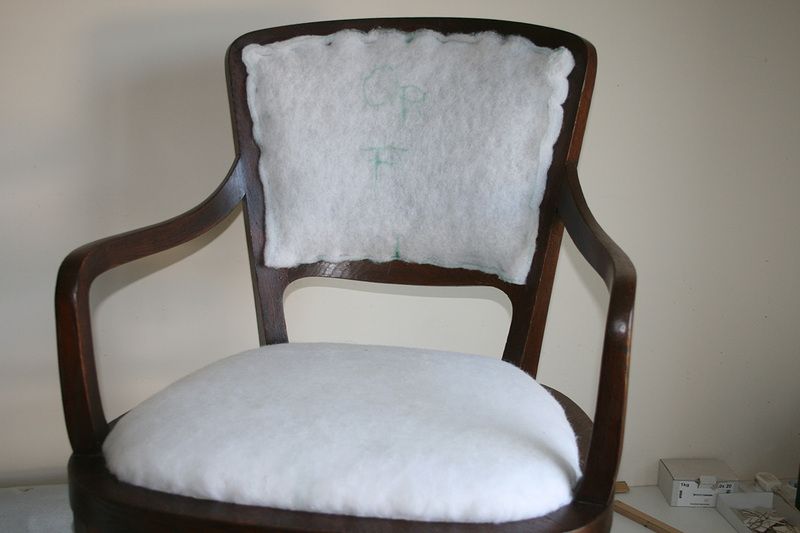 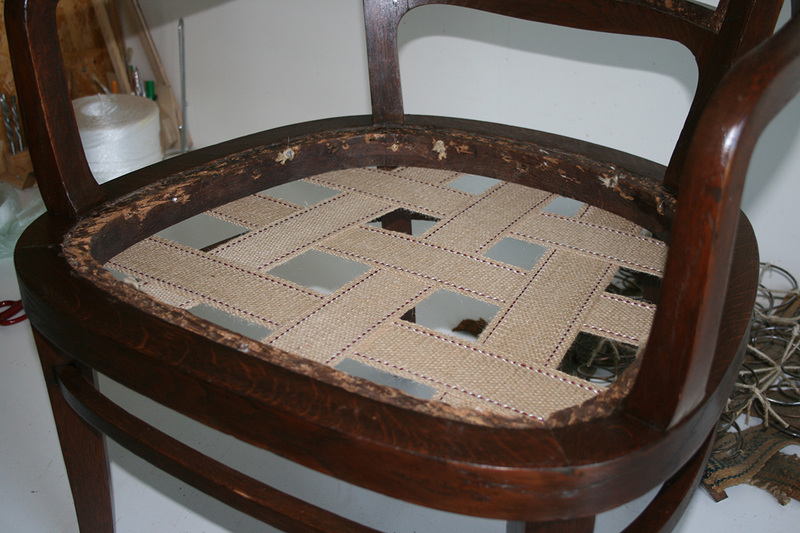 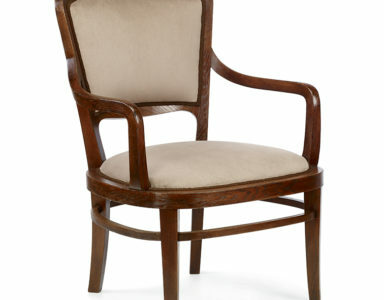 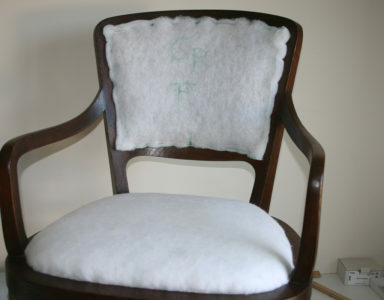 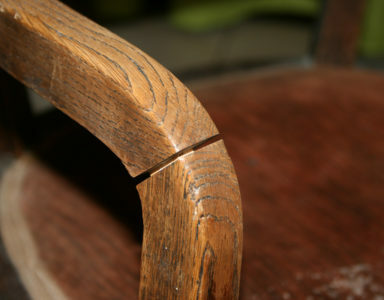 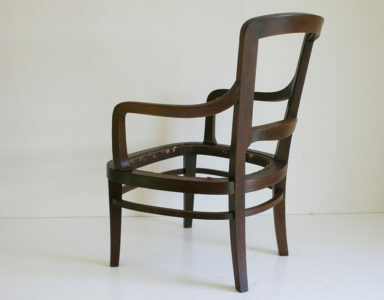 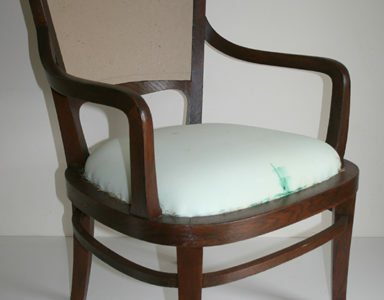 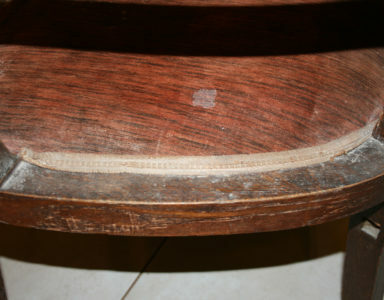 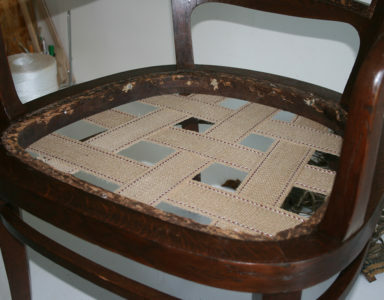 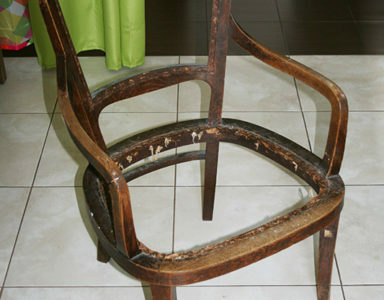 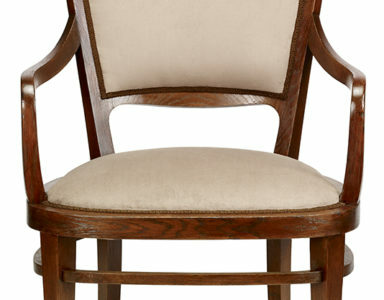 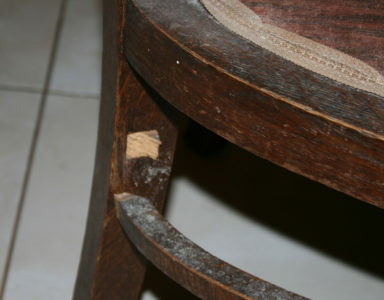 Apart from upholstery works, it was necessary to repair its stile and reconstruct missing load-bearing elements. 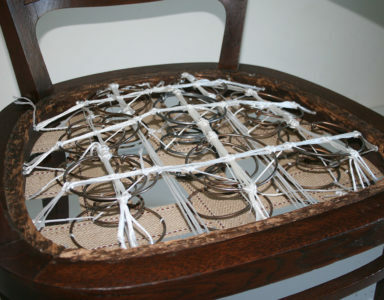 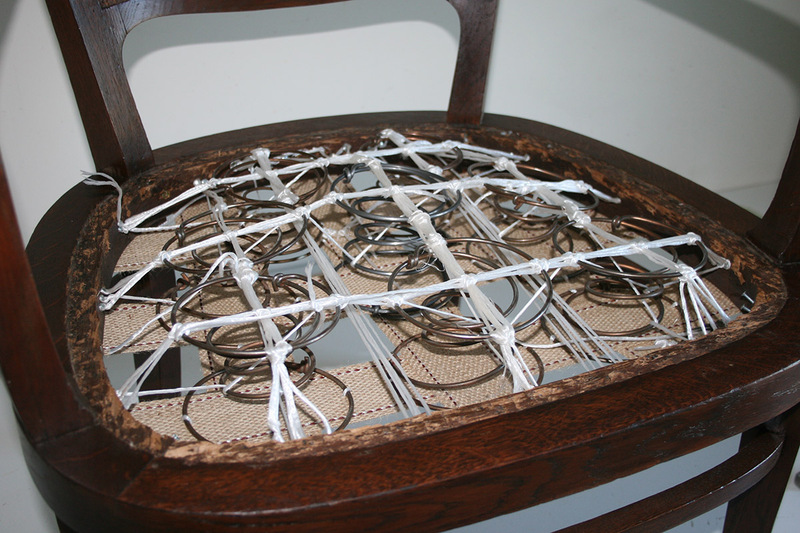 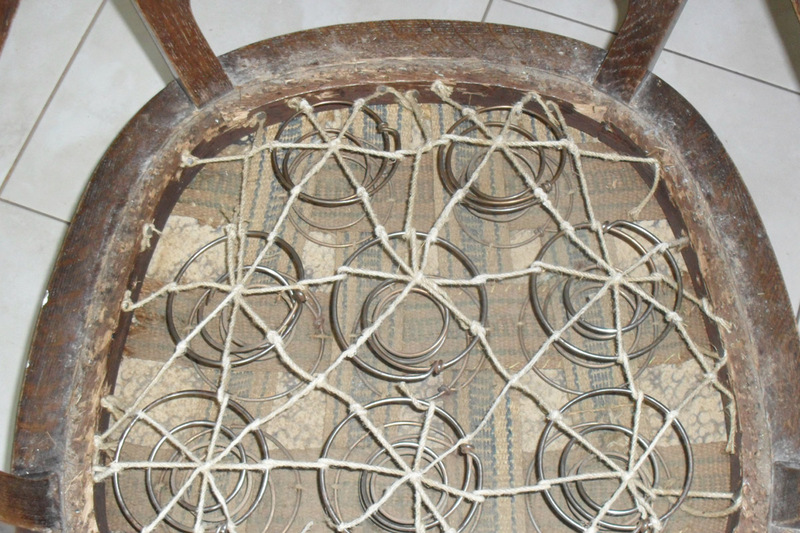 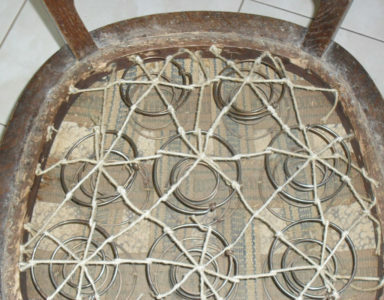 Luckily, the state of springs was satisfying and we managed to reuse them in the renovated armchair as the original element. 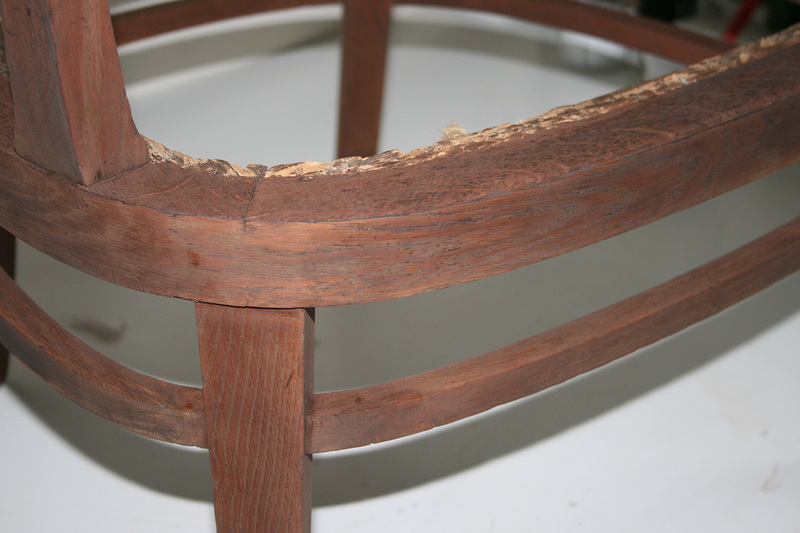 The repair of the stile was problematic due to missing load-bearing elements. 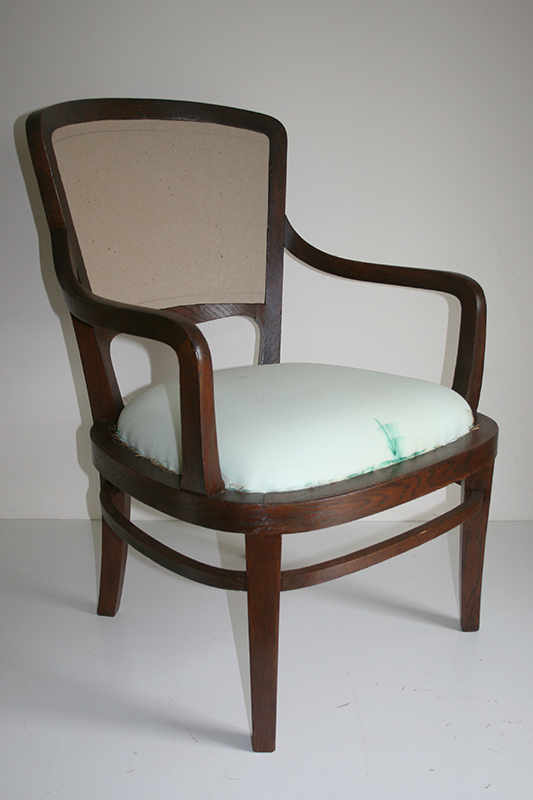 We used existing elements to design and reconstruct the missing element and the armchair was fit to be moved to our upholstery workshop once we finished woodwork. 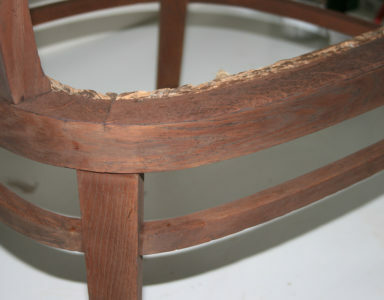 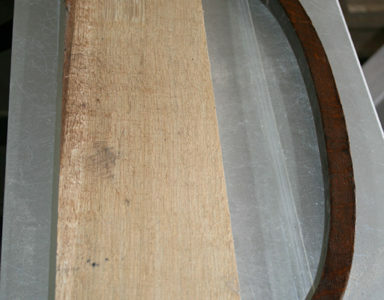 The result can be seen in pictures below.